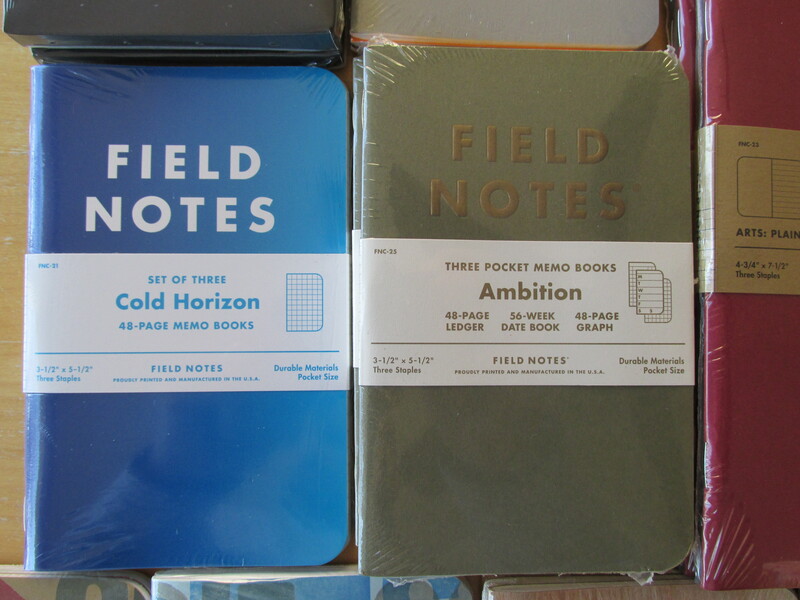 In the hopes of partially funding a new iPad Pro and Apple Pencil to use for teaching (and personal stuff of course), I am putting up a portion of my Field Notes stash for sale. All the prices below include USPS shipping within the continental US. I tried to set the prices at levels that are noticeably better than what you can find on eBay and still make a few bucks after accounting for shipping. So, no haggling please. To encourage bulk buying that reduce my trips to the post office, I will knock off $5 from your total for every trio of packs you buy. Please send an email to thatonepen@gmail.com to express interest and I’ll get back to you asap. All purchases will be done via Paypal. 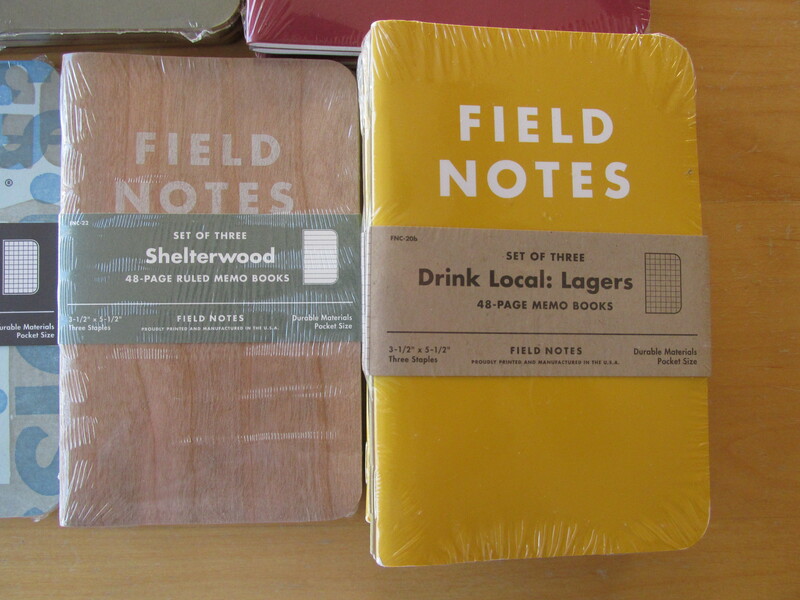 Because of the holiday weekend, shipping will not commence until Monday, 11/30. 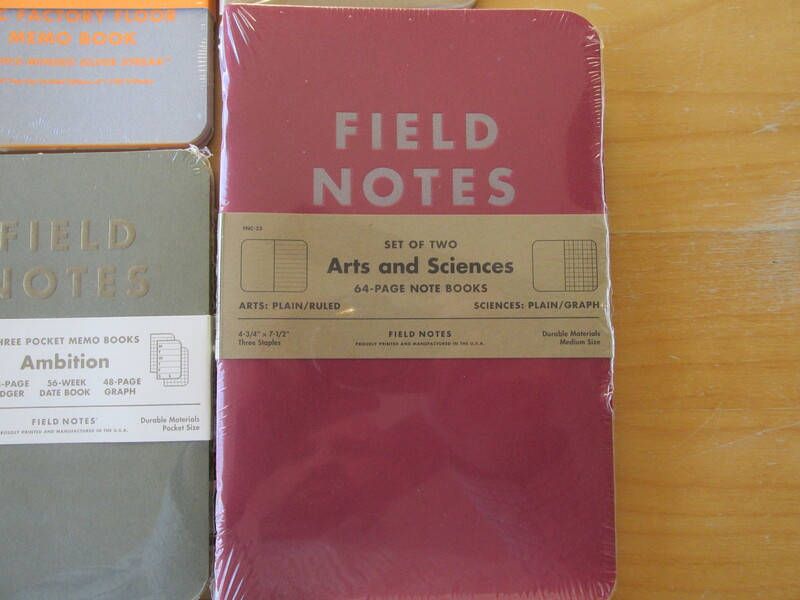 All books are in un-opened three packs (except for the Arts and Sciences which comes in un-opened two packs). 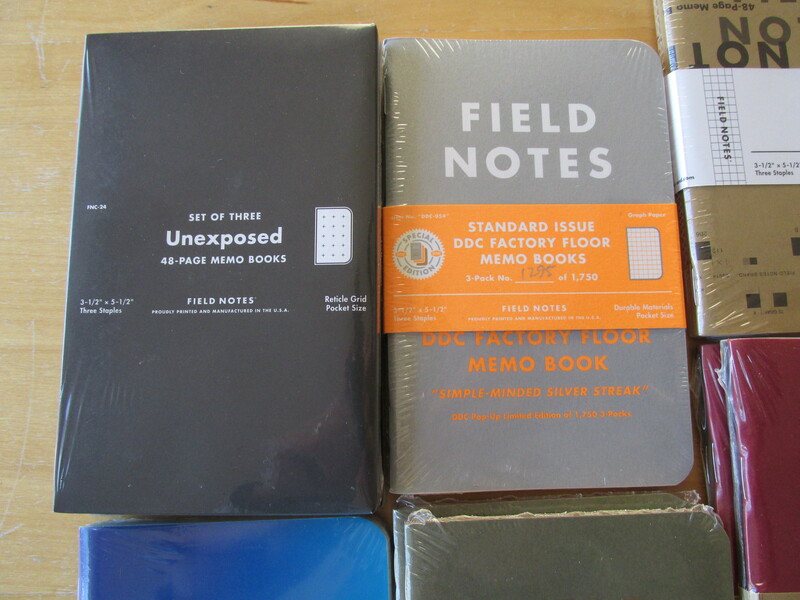 The Unexposed editions are truly unexposed! Again, $5 off for every three packs you buy. UPDATE – Some of these packs are still available, but this post is now several months old and the economics of different editions of FN has since changed. 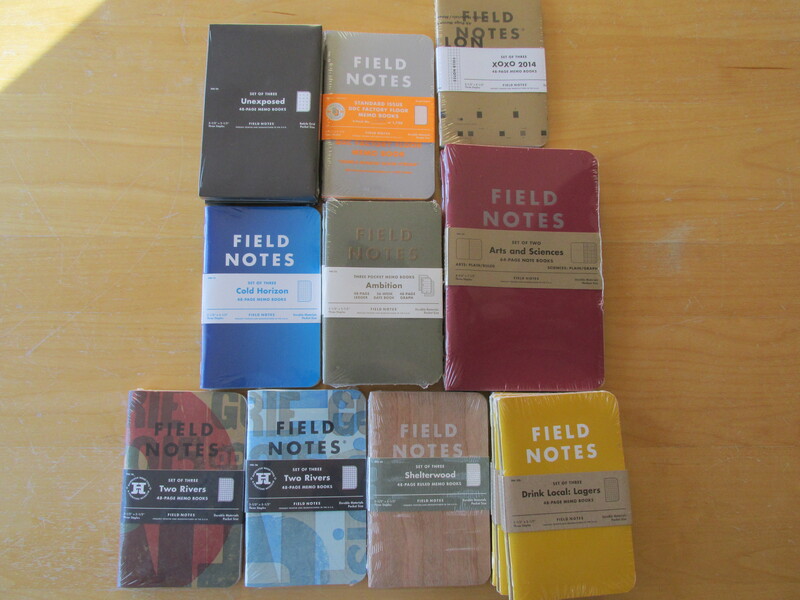 I still have packs of several older and recent FN Colors editions. Send an email to thatonepen@gmail.com if you’d like to find out what I currently have. Beyond my laptop, phone and wallet, my most frequently used personal item of the past three months may be my (somewhat) unique stonewashed Karas Kustoms Render K G2 in orange and grey. I nabbed this bad boy during one of KK’s Instagram flash sales. I am not a man who believes in fate, but luck was clearly with me that day because this pen has turned into one of my favorites. 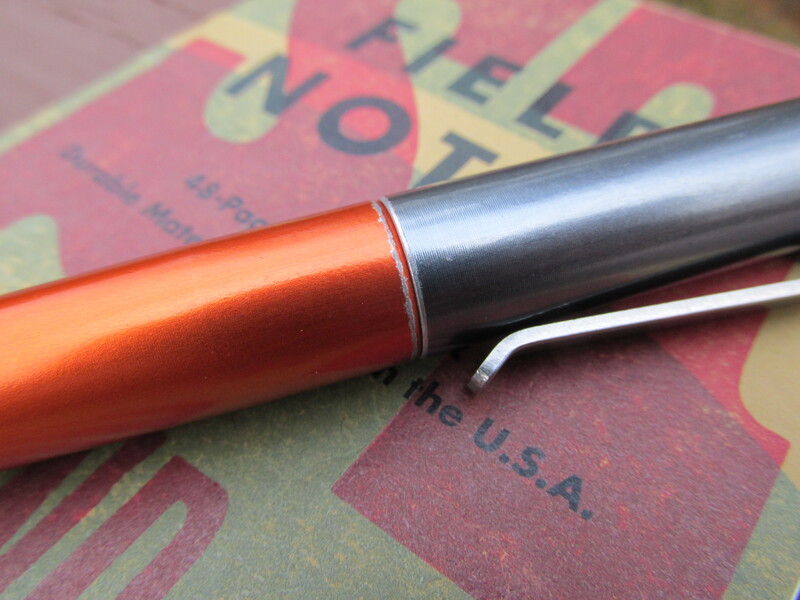 In fact, of the dozens upon dozens of pens in my collection, this orange and grey Render K G2 is easily in the top 3 right now. Let’s start with the looks. Stop reading and just scroll through the pictures. I stink at taking pictures, but even my pedestrian shots look pretty good. The colors offer a nice juxtaposition of the bright and fun orange contrasting with the sleek and classy grey. 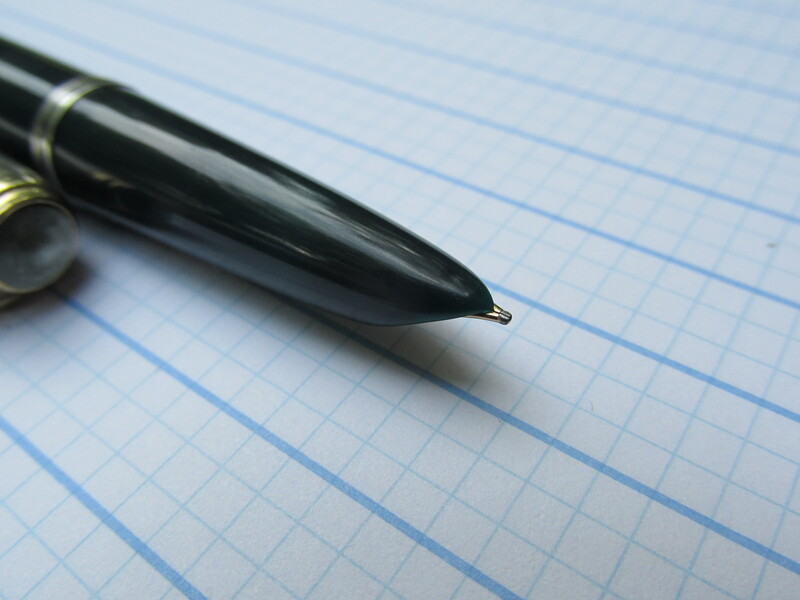 It’s the mullet of color combinations – party on the body of the pen and all business on the pen cap. 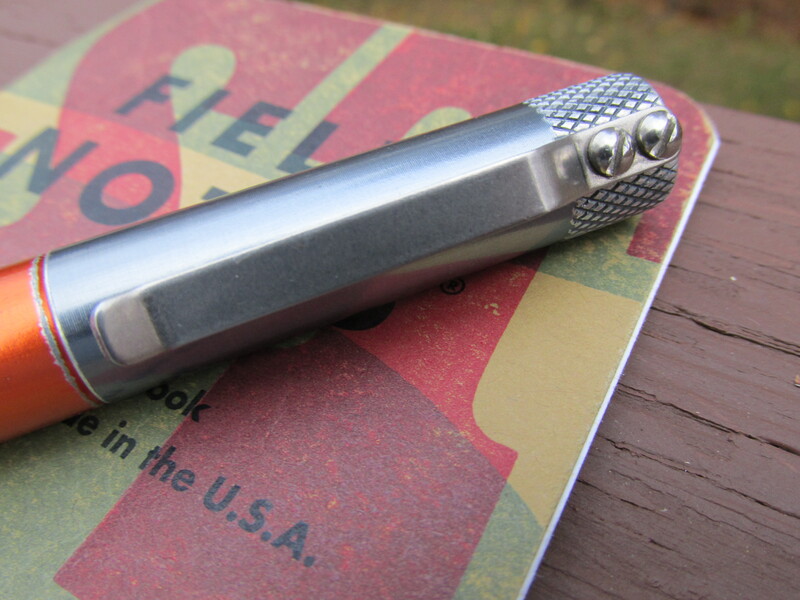 The stonewash produces a nice weathered appearance around the knurling of the cap, along the threads near the grip section and along the circumference of the end. It is a subtle but compelling effect. If it’s not my favorite looking pen, it’s damn close to it. Next up, build quality. 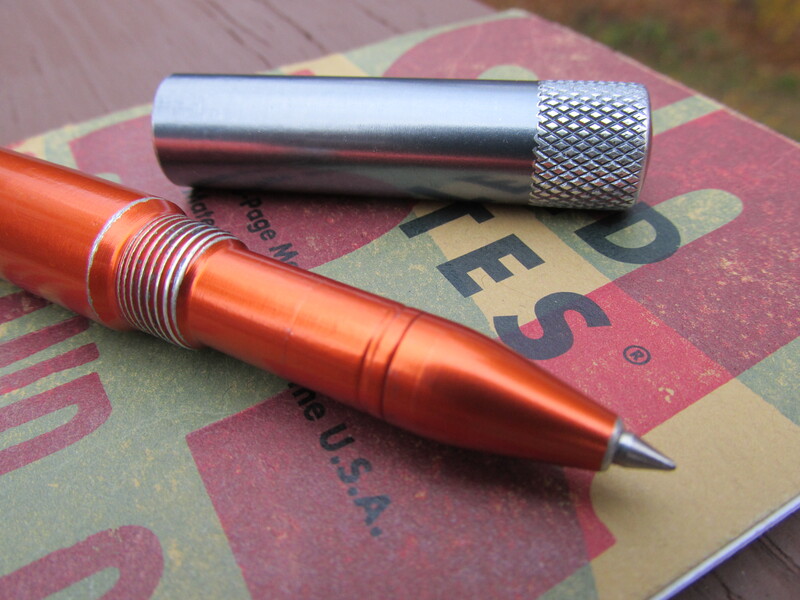 It’s a machined pen made of high quality aluminum – ’nuff said but I’ll go on a bit more. 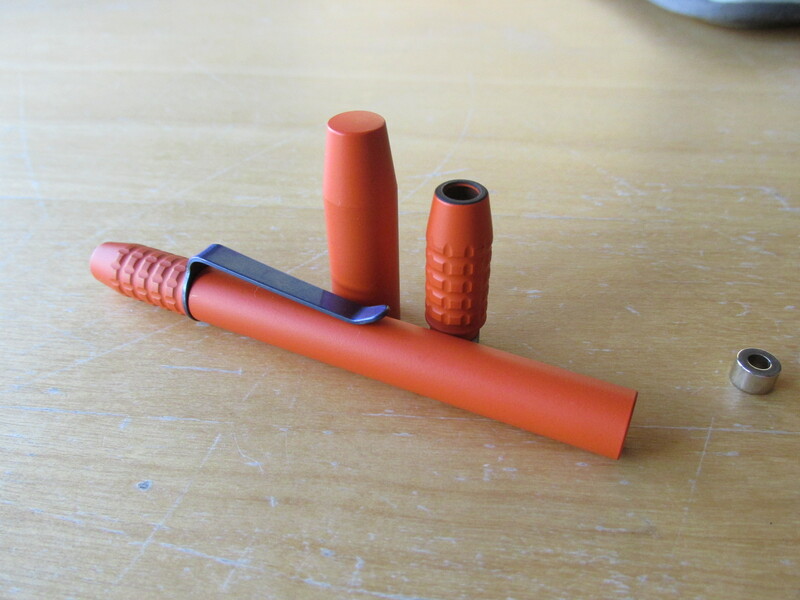 Compared to a fountain pen or an inexpensive plastic pen, the Render K feels like a tank. At around 30 grams capped, it has some heft to it. When writing without the non-posting cap, the Render K comes in around 20-22 grams which is right in my wheelhouse. I have zero hesitation about bringing this pen anywhere or carrying it in any way (in a case, in my bag, in my pocket, etc.). I’ve become protective about the pen but not because I’m concerned about damaging it. I just don’t want to lose the thing! 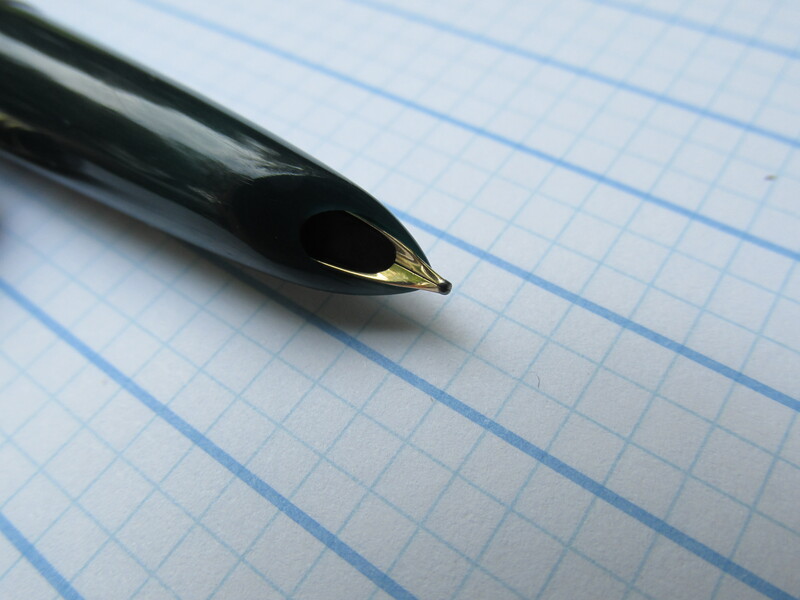 Last and most important – the writing experience. The balance of the pen overall and the form factor of the grip area work well for me. At around 5 inches, it is not a long pen so folks with large hands may find it to be a tad short. Not me. The pen fits nicely in my average to small hands. 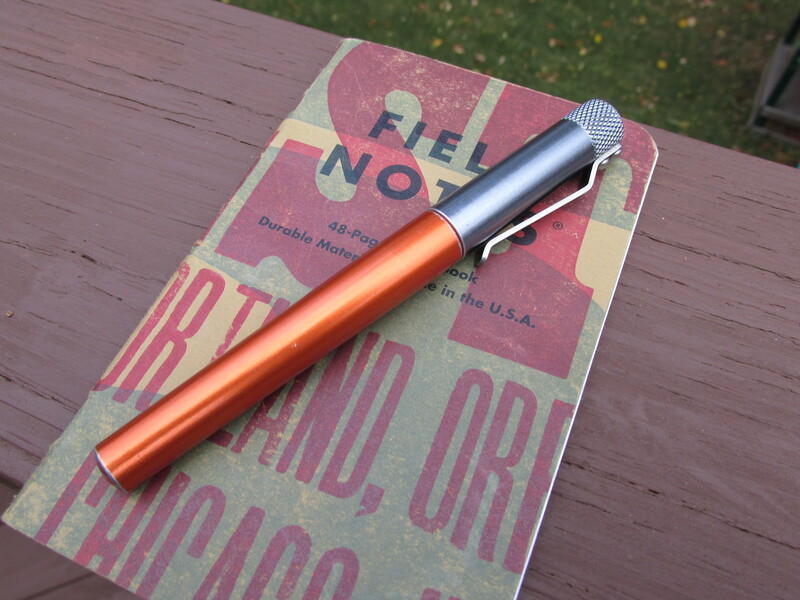 Like all aluminum pens, the Render K can feel a bit slick but this is where the grip area helps. 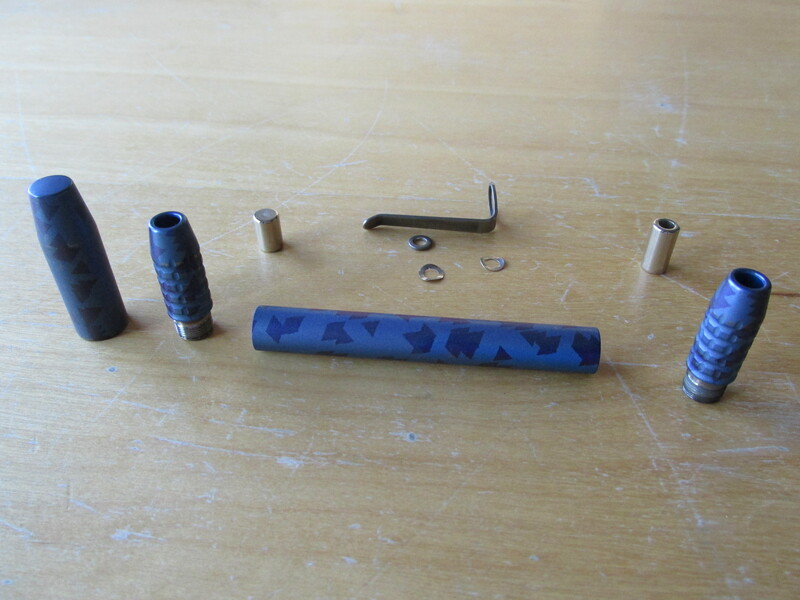 As you can see in the picture below, the diameter of the pen increases a bit going from back to front and there are two small steps before and after the threads. The combination of steps and threads provide direction for my fingers seeking the right grip while also offering texture for the edge of my thumb pad to hold onto. 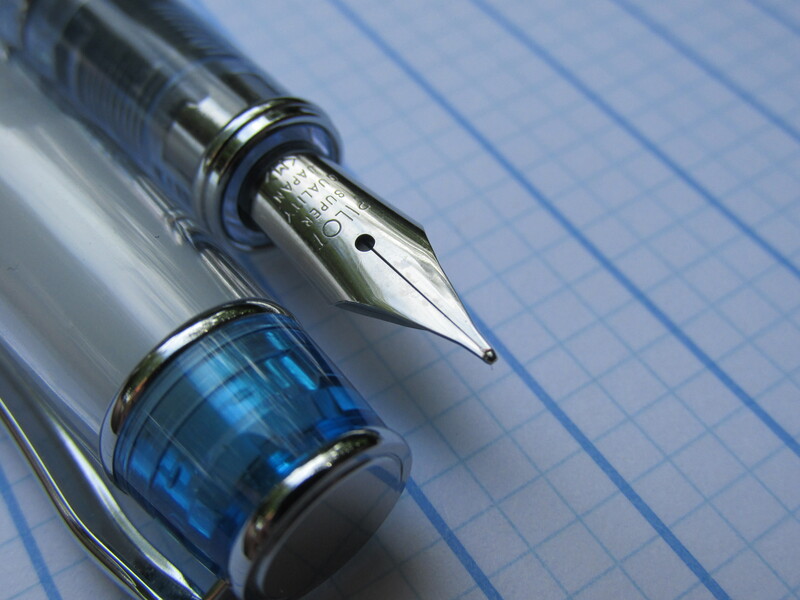 To put it succinctly, the design of the pen allows for a confident grip for what could otherwise be a slippery pen. 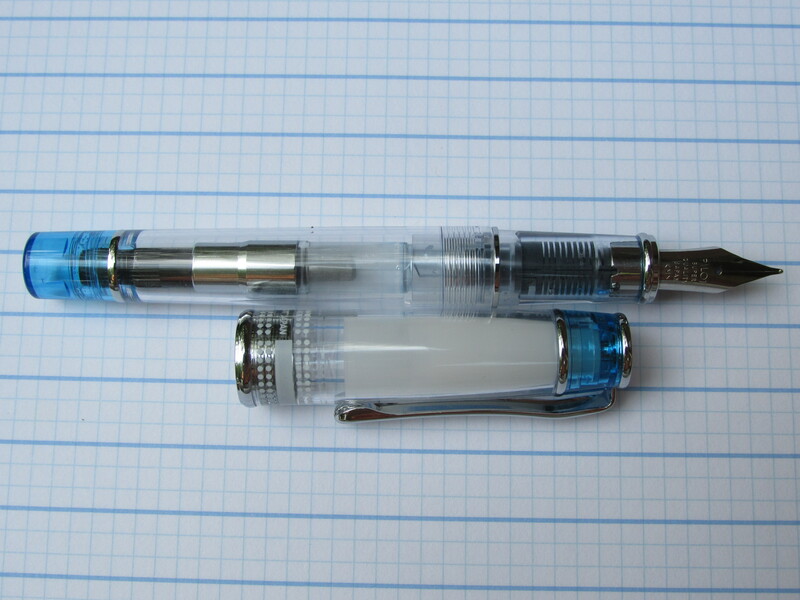 As for refill choice, I have grown quite fond of the 0.5 mm Pilot Juice. I think of the Juice refill as the grown up version of the Pilot G2 refill available in office supply stores. The balance between flow, smoothness and feedback is just about perfect in the 0.5 Juice and it works on a wide range of paper types. 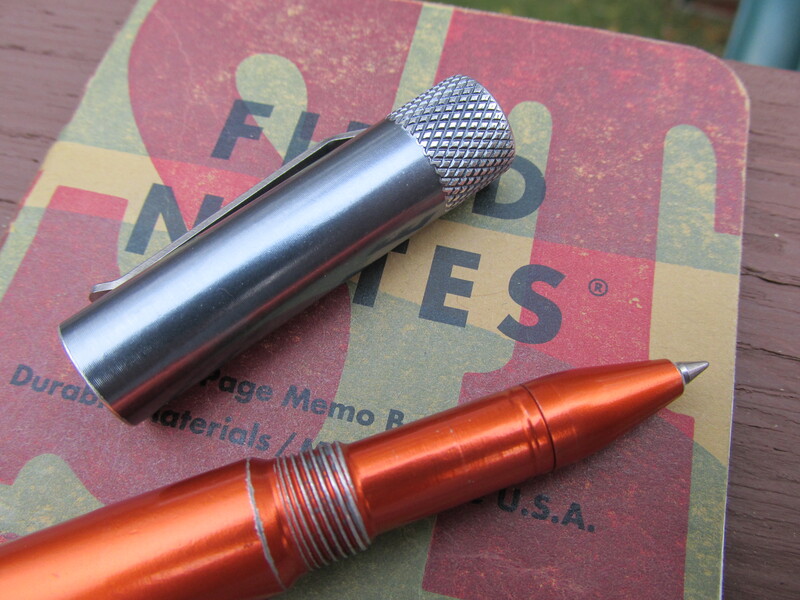 The common G2 refill can be splotchy with a writing experience that is a touch rougher than the Juice. 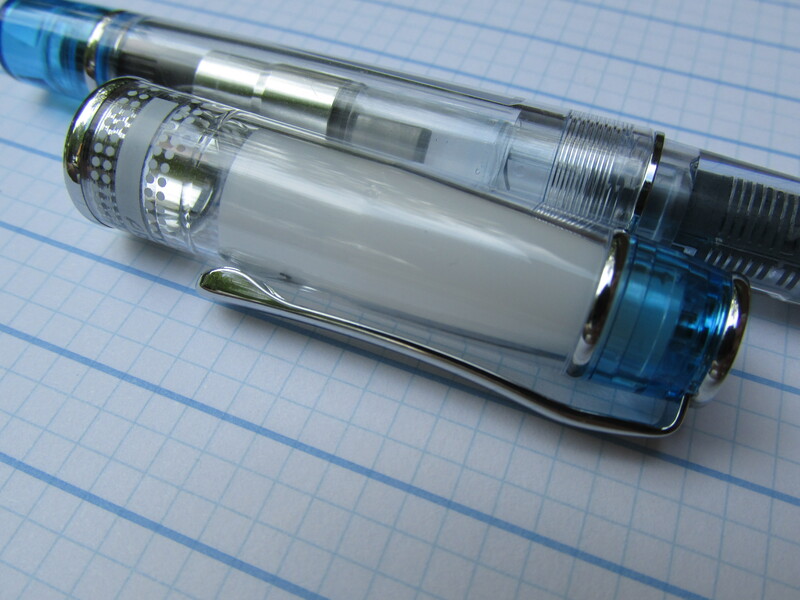 As with most machine pens capable of taking different refill types, there is the smallest amount of play in the tip of the refill. 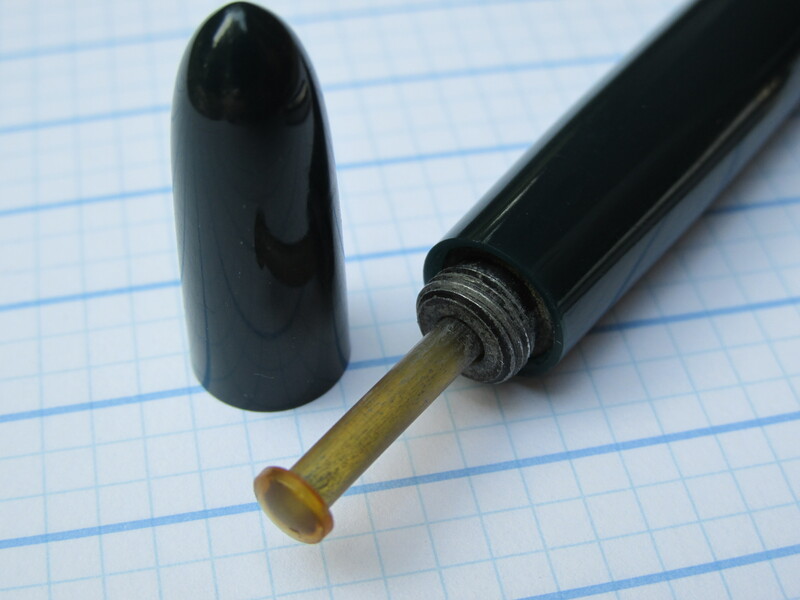 Since the Render K is a capped pen (as opposed to a retractable pen), it is easy enough to modify the refill with bit of scotch tape near the tip to eliminate the wiggle. Also, adding tape to the end of the refill gets it to protrude a few millimeters past the cone as is my preference. Since getting this Render K through the Instagram flash sale, I have added a blue and a grey Render K to my collection. Of course, I switched the grey and blue caps between these pens to generate color hybrids. The blue body / grey cap combo packs a teal 0.5 Pilot Juice and is used for grading while the grey body / blue cap is currently rolling with a 0.7 Juice. In summary, I really dig these pens. Since I worked the pen show into a family trip to DC, I only attended the festivities on Saturday. I did my best to take it all in during this one full day but I still felt like I was rushed. As weird as this may sound, 7 hours is not enough to take in all there is to see at this largest of pen shows. I have been to the rather small Long Island and Philadelphia pen shows in the past couple of years. To make some size comparisons, the LI show occupies an area roughly equivalent to a small town middle school gym from the 60’s. This is a total guesstimate, but I would say there are about 25 vendors at the LI show. I live about 80 minutes from the LI show so it’s worth my travel time. The Philly show is about three to four times the size of the LI show so it’s worth a noticeably longer travel time for pen folks. While it’s not much larger in terms of floor space, the Washington DC show is a lot more tightly packed than the Philly show. In terms of the numbers of vendors, DC may come close to doubling Philly. So, the Long Island show is worth an afternoon’s worth of time, the Philly show is worth a full day and DC might be worth two full days. Back to the DC show itself. It was an easy 20 minute drive from my hotel in Arlington to the DC show. (Side note – if you ever stay in the Arlington area, be sure to check out a place called Nice Cream Factory. Holy cow was their ice cream good.) Parking at the hotel was a little tight, but I found some free spots around the back. There is paid public parking in the area but thankfully it was not needed. I arrived shortly after 9:00 and the line was already double-backed on itself but it only took about 15 minutes to get through it. Apparently, people with some super special postcard could get in at 9:00 and the general public needed to wait until 10:00. Well, I didn’t have a postcard and the folks at the counter took my admission money just fine around 9:20. To the right of check-in was a fairly large ink sampling table (didn’t have time) and you entered the main show on the left side of the lobby. I would guess that there were 15-20 vendors in the lobby area. So, add another 10-15 vendors and you have yourself the Long Island Pen Show. Save for a few vintage folks and a repair booth, most of the lobby was filled with modern pen vendors. Shawn Newton of Newton Pens was in the lobby area. Shawn did not have a huge selection, but what was there was impressive. I spoke with him for about 5 minutes and he could not have been nicer. Pen Addict Brad Dowdy was working the Vanness table. I had the chance to chat with Brad shortly after arriving and just before leaving – good people. Mike and Linda Kennedy of Indy-Pen-Dance (thanks Gordon!) were in the lobby area doing pen repairs and nib work. I had Linda work on one of my nibs. It was a Platinum 3776 in fine which has trouble dealing with my slight lefty hook. Linda did a pretty good job of making life a bit better but I’m not sure this pen/nib is long for my collection. I really like the weight, balance and ink flow, but sometimes the nib and my left hand don’t play nicely. Too bad because I wanted a Japanese fine nib to work for me but I may be in the market for a different nib on this pen soon enough. This post is getting a bit long already so I’ll just hit a couple more highlights. In addition to the aforementioned folks, I also had a chance to chat with Mary Collis of From the Pen Cup, Matt Armstrong of The Pen Habit and Tim Wasem and Johnny Gamber of Erasable. Sorry for all the goofy name dropping, but everyone was exceedingly nice and enjoyable to chat up. I look forward to chatting some more with everyone in person should the chance arise. Purchases. I made three purchases but I’m only going to go public about one of them right now. As you may know, I’ve been trying to reduce the number of pens and pencils in my possession so going to a pen show and adding 3 more to the collection is not helping. 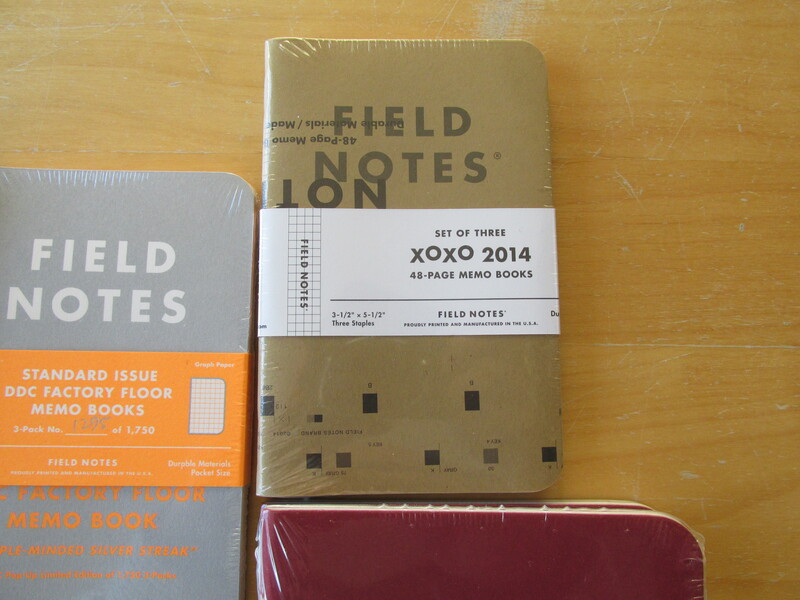 That said, I know I’ll be keeping the one I’m about to mention while the jury is still out about the other two. 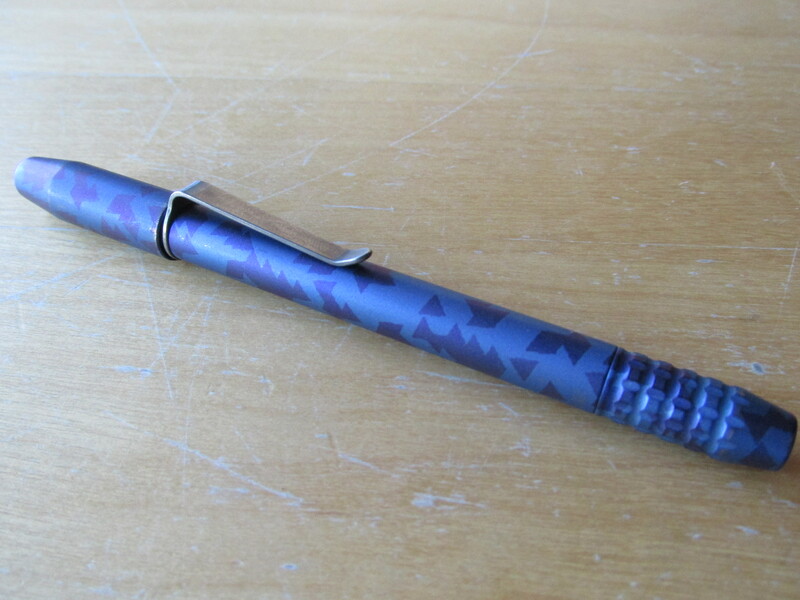 Anyway, one of the pens I got was an Edison Menlo with a fine steel nib in a blue swirl finish. The weight is great. The balance is nearly perfect and the steel nib, after Brian Edison did a bit of tweaking, works great. Surely I’ll do a review of this pen in the days/weeks to come but I want to spend more quality time with it before doing so. That’s it for now. I’ll end with my favorite picture from the DC weekend. 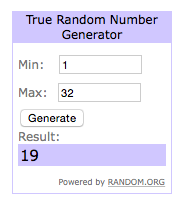 The 19th comment on the giveaway post belongs to Josh S! Thanks to everyone who entered. UPDATE 8/10 – Please note that this pen is now listed on eBay. Please submit any offers via eBay for this Parker 51. 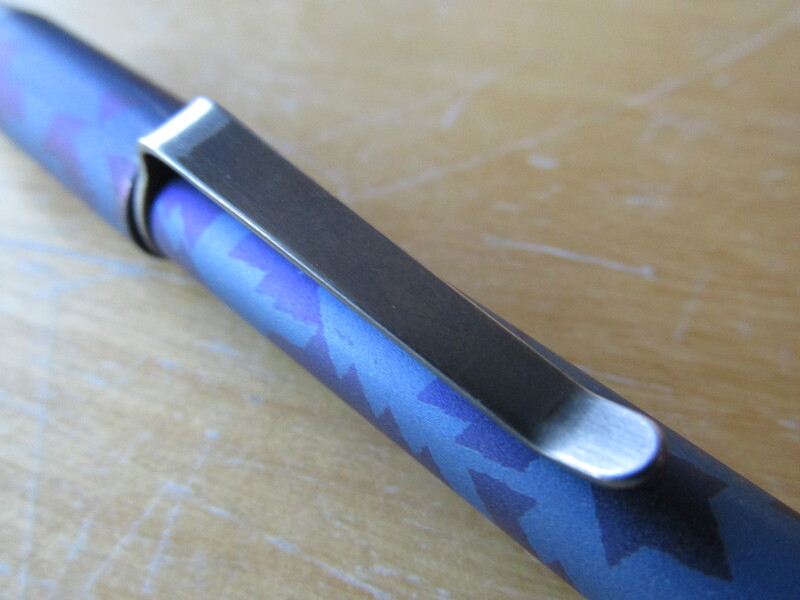 Parker 51 Vacumatic in blue cedar with medium nib for sale!! 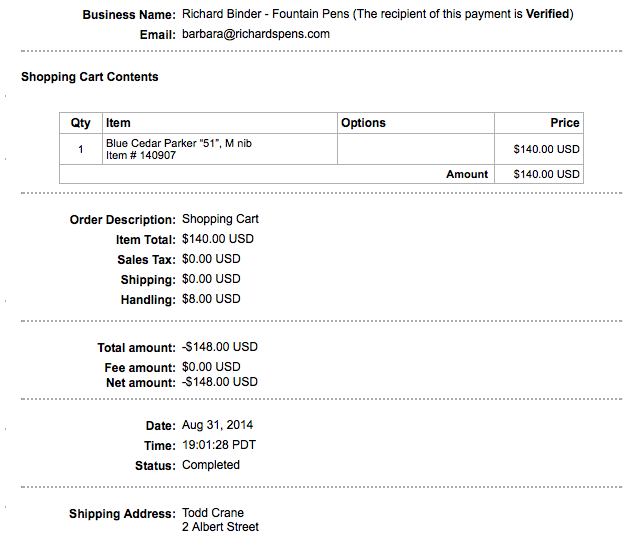 I understand that buying a vintage pen over the internet can feel like a risky proposition, so I’ve included several pictures along with a snapshot of the Paypal receipt indicating that I purchased this pen from Richard Binder in August of 2014. 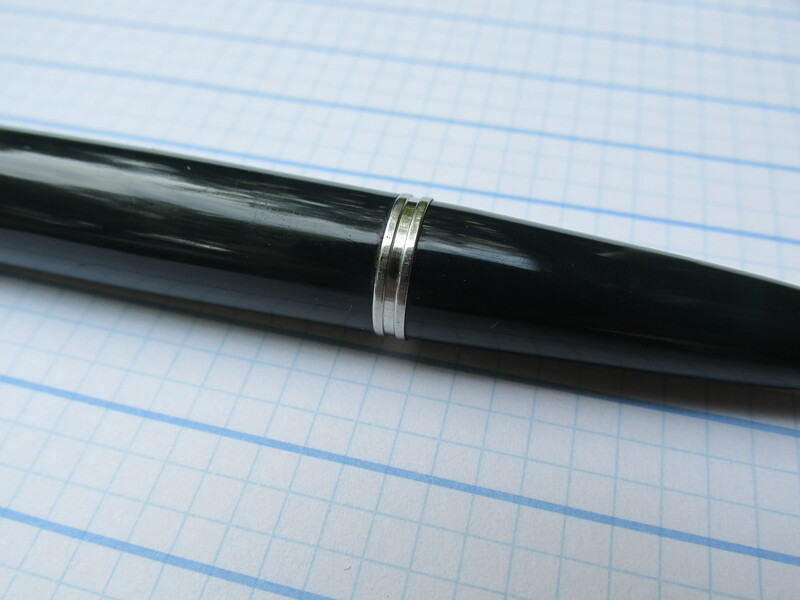 That’s right, this Parker 51 Vac came from the September 2014 “Pen Show Tray” of THE Richard Binder. 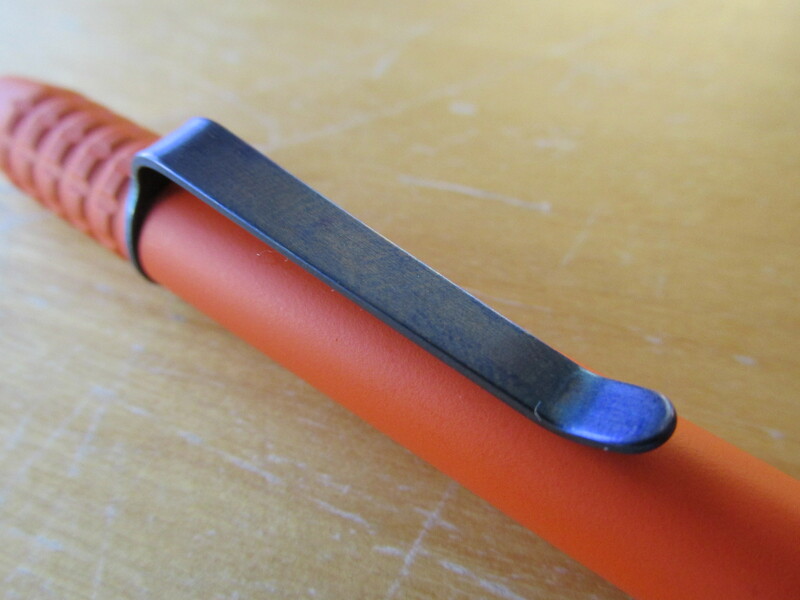 You can see the Twitter post announcing the September 2014 Pen Show Tray from Richard here. This pen is 7th from the left in Mr. Binder’s picture. His picture does a better job of showing the blue cedar finish than my pictures taken outside in the shade. 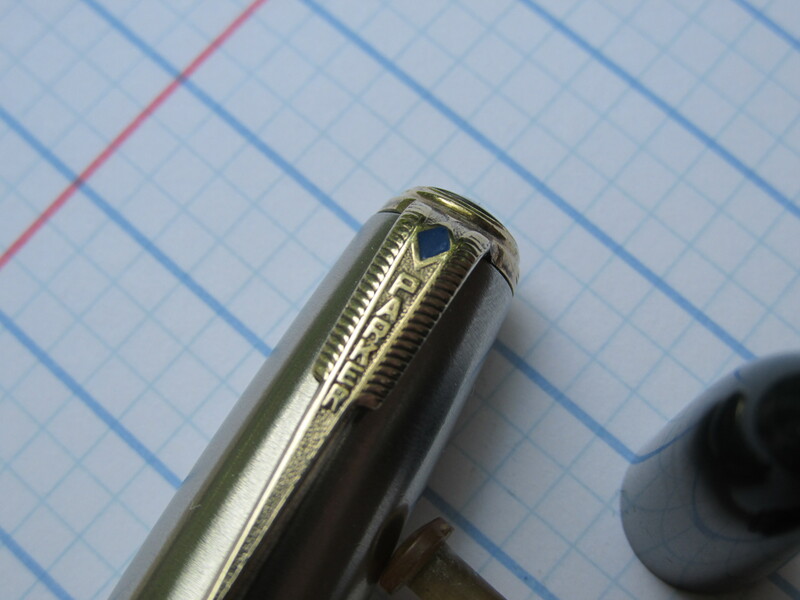 I am selling this 51 because the medium nib produces a line that’s a touch wetter than I prefer and, more importantly, I have two other vintage Parkers (another 51 and a Vacumatic) that I like slightly more. 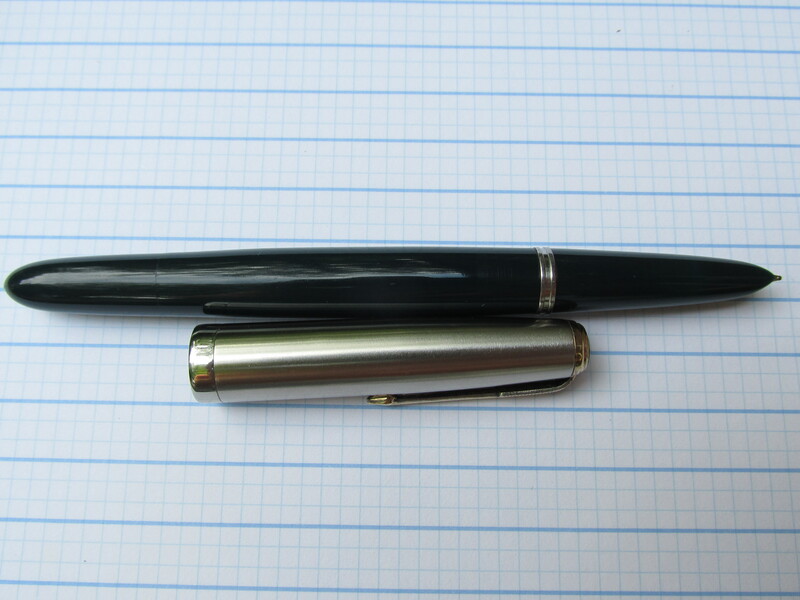 So, as part of the great pen/pencil simplification, this 51 with the vacumatic filling system is headed out the door. I have flushed the sac repeatedly to the point that it expels clear distilled water so this vintage Parker 51 is ready to go. As you can see, I paid $140 plus shipping for this pen almost exactly 1 year ago. 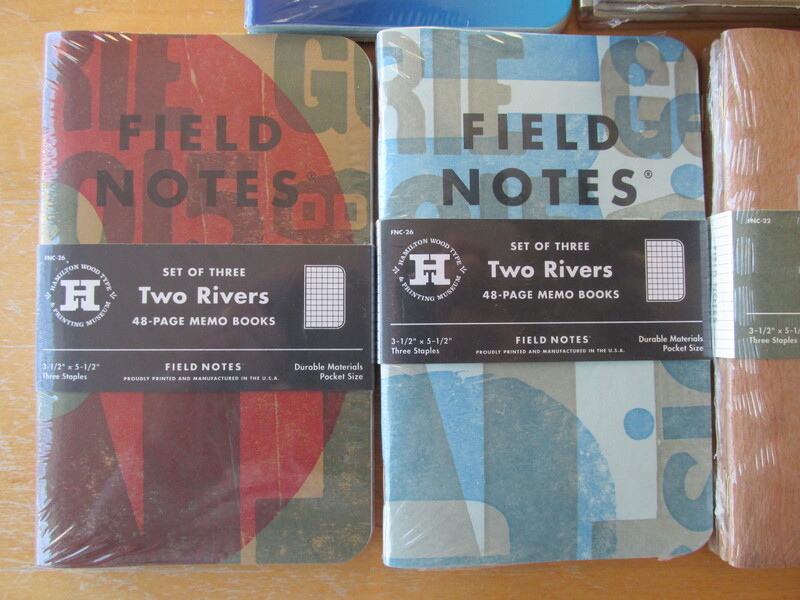 Priced to sell at $125 (including shipping within the US via USPS). Given that this is a vintage sale, I will entertain legitimate counter offers. Email thatonepen@gmail.com if interested. 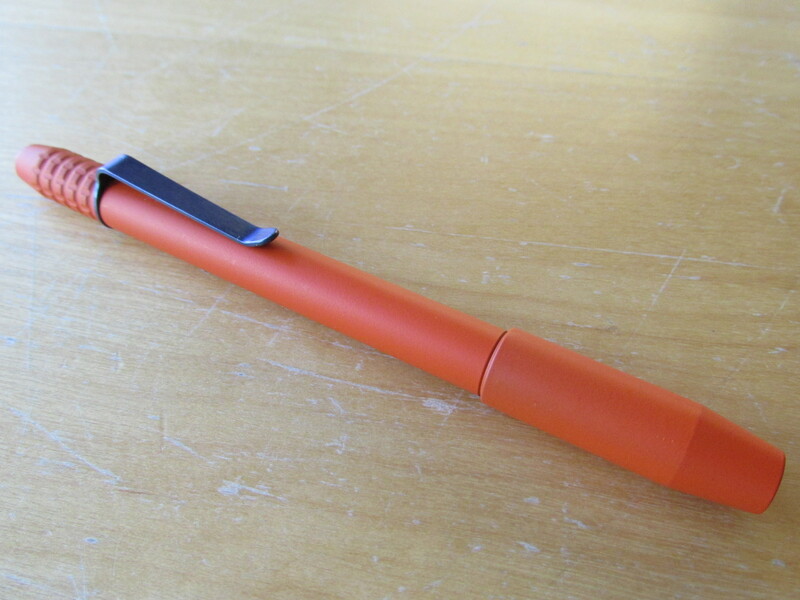 UPDATE 8/10 – Please note that this pen is now listed on eBay. Please submit any offers via eBay for this Parker 51.